Mention the sponsor or advertiser, and their message, while live on air broadcasting, or play a customized audio expression during your show breaks, so it's embedded within a show. Unlike for regular radio advertisement heard on AM or FM radio, this show could possible play forever via Internet radio, getting an ever increasing number of listeners, for decades, for as long as the information exits on a hard drive. Simply by doing the above, you have given listeners an ON DEMAND 24/7 opportunity to listen and download your podcast, that can be accessed at any time, by anybody, using any device, at no cost! Your shows are automatically syndicated, and being pulled up by our partners and affiliates, RSS feed subscribers, yours and ours, as well as other radio portals like iTunes, and a host of other radio networks that you can submit to, effortlessly, in seconds, including all the big radio portals! We even provide you all the information, the list of radio portals and their links in the Host Manual (to the exact URLs you need with the exact information they require). Honestly, we make it too easy! 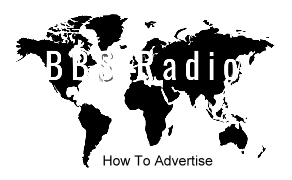 GET HEARD Worldwide on BBS Radio and affiliate partner live streams! and Be heard, and listed to, on all major radio portals! 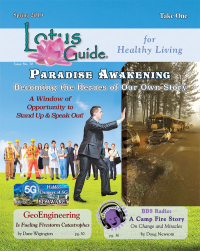 and Talk shows are archived and placed in syndication within 24 hours! and Add and embed videos! and Free background music for audio developments! and Free advertisement placement on all live station streams! and Inexpensive editing of podcasts and other audio tracks! and Inexpensive creation of audio commercials, promos, bumpers and liners! and Free creation of intros, outros and a commercial for your program! and Free professional audio editing services of all tapped and delivered broadcasts! and Add audio tracks, commercials and promos!